This enlargement of a standard 1970's suburban house wraps much of the original house up in a contemporary skin, with the space between occupied with new accommodation. This building is very much in the family of our earlier Liberton House, but on a smaller scale and all in timber. The new spaces connect into the large garden in a way that the house never did before. 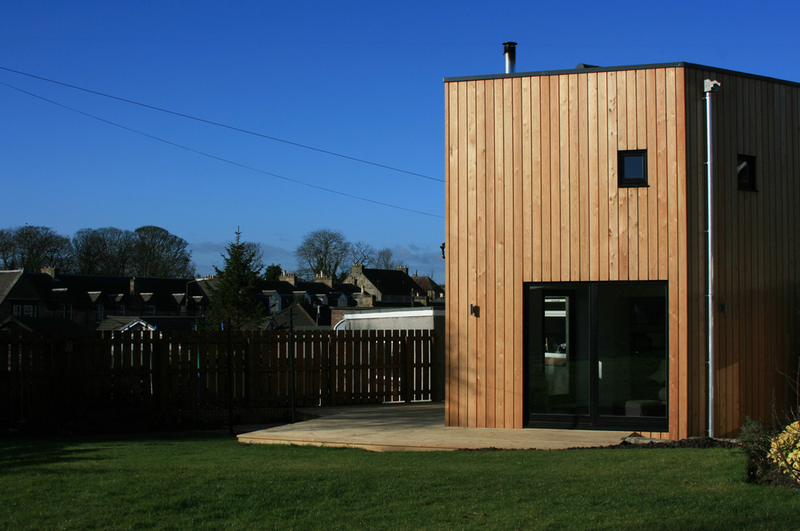 The cladding is larch, and the new structure contains additional living space, entrance area and cloak room on the ground floor with a bedroom above.